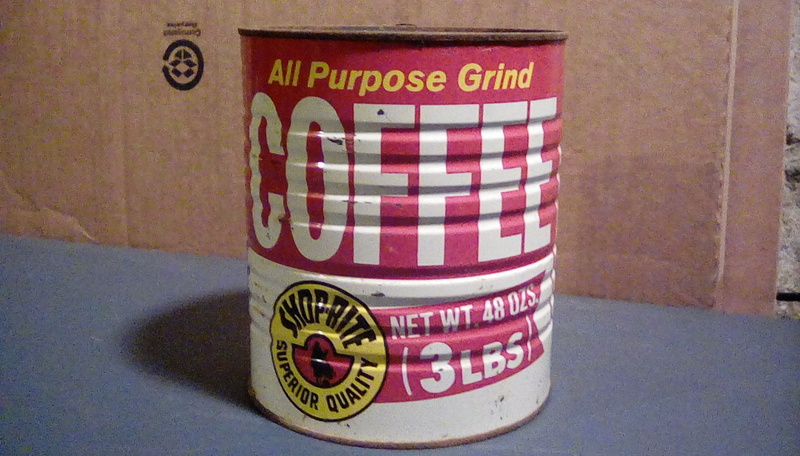 The Market Report: Memorabilia: The Best Part of Waking Up is Shop-Rite Superior Quality All Purpose Grind Coffee in Your Cup! 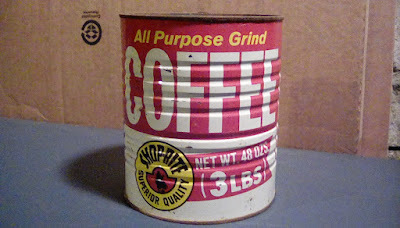 Memorabilia: The Best Part of Waking Up is Shop-Rite Superior Quality All Purpose Grind Coffee in Your Cup! We have a second installment in the memorabilia series today, also contributed by V West. 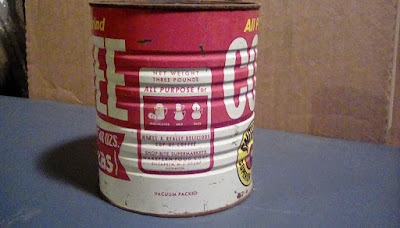 V West reports that this has been serving as a nail bucket in a relative's basement for many years. It's in remarkably good condition! My grandmother, until very recently, was using 1980s Pathmark coffee cans for nails that were all rusty and dented, so the condition of this can is impressive. 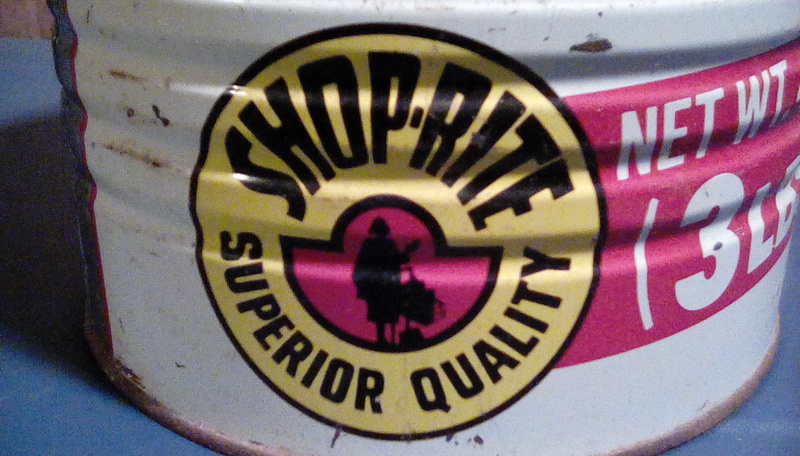 ShopRite (then called Shop-Rite) introduced its first storebrand product in 1958. They were donuts, $0.18 for a dozen. The Wakefern coop then changed the logo in 1974 to this more famous design. So that puts this can somewhere between 1958 and 1974, although I would bet that it's much closer to 1974 than 1958. I do love this logo, though, if only for its slightly sci-fi looking lettering and ridiculously detailed silhouette of a shopper! If you're thirsty for more ShopRite coffee packaging, check out this pre-2002 label.